The LASALLE INTERIOR TRIM Defender 110 Headliner is handcrafted in GRP using traditional hand lay-up methods. This results in a bespoke quality product that will last the lifetime of your Land Rover, not only will this be an upgrade on the original, it is the perfect way to refresh a large part of the interior ensuring that you will have peace of mind, knowing that it will never sag from the usual condensation issues that the original Land Rover Defender headliner and other headlining products on the market suffer from. Radio/DIN Housing dimension are 8″ (203mm) width x 3″ (176mm) height x 8″ (203mm) depth maximum size radio 7.5″ (191mm) x 2.5″ (64mm) x 7″ (178mm) please be aware that the sun visors will only go up to the base of the Radio/DIN Housing, this will not affect your line of sight. We pre drill the holes for the sun visors, rear view mirror and for fixing of the headliner. We do not pre cut any holes for the interior lights. 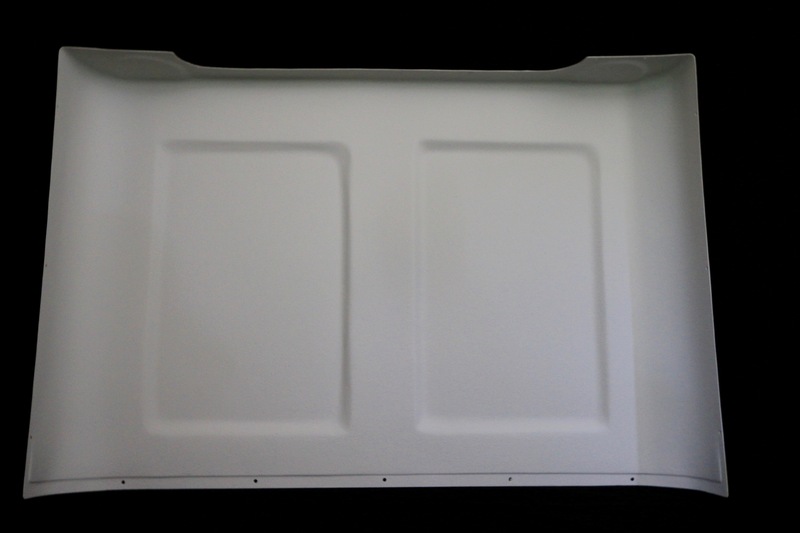 LASALLE INTERIOR TRIM Defender Headlining is constructed from GRP which is strong, waterproof and has insulating properties. With a choice of finishes and colours, it can be made too your bespoke specification. The design and construction of a LASALLE INTERIOR TRIM Headlining gives the flexibility that should accommodate most varying size and design issues.